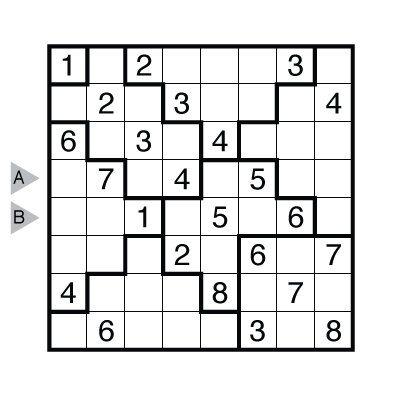 Author/Opus: This is the 184th puzzle from Thomas Snyder, aka Dr. Sudoku. Rules: Standard Deficit Sudoku rules. Answer String: Enter the 1st row from left to right, followed by a comma, followed by the 4th row from left to right. Note: Follow this link for other Deficit and Surplus Sudoku. Theme: L’s Big and Small. Rules: Combined Deficit and Surplus Sudoku rules, with some regions with fewer numbers (no repeats but one number missing) and others with more numbers (1-8 plus one repeat) than expected in a Sudoku. Use numbers from 1-8. 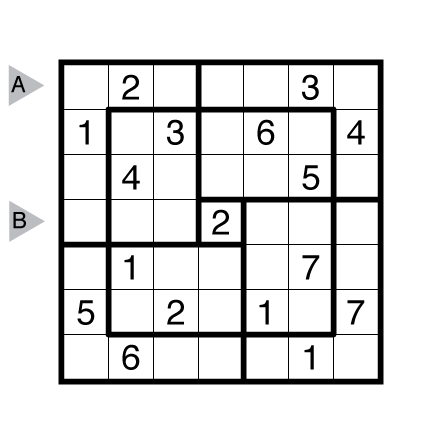 Rules: Standard Surplus Sudoku rules, with numbers from 1-8. Answer String: Enter the 4th row from left to right, followed by a comma, followed by the 5th row from left to right. Theme: Not Your Standard 6×6 Sudoku! 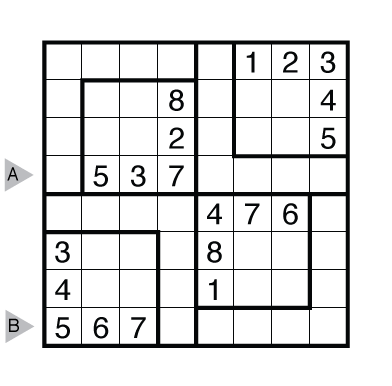 An homage to my favorite (10×10) puzzle from the original “Udoku” set of Deficit Sudoku by Wei-Hwa Huang. 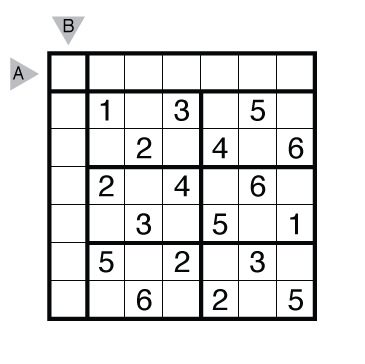 Rules: Standard Deficit Sudoku rules, with numbers from 1-7. Answer String: Enter the 1st row from left to right, followed by a comma, followed by the 1st column from top to bottom.